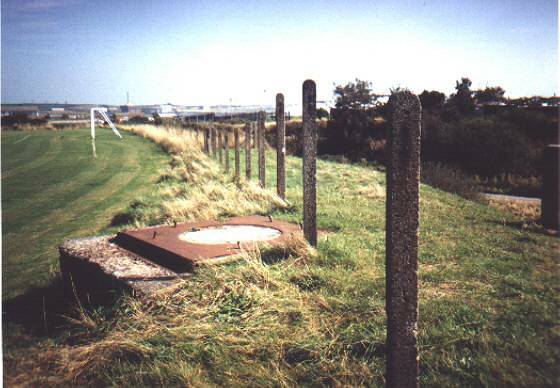 WWII defences around Barrow-In-Furness, Cumbria. 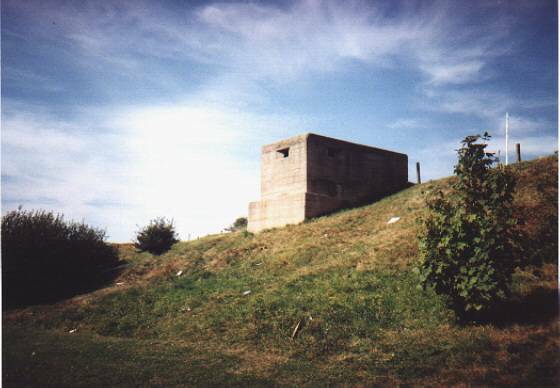 ABOVE: A type 23 pill-box in dominant position up this railway embankment. Further images of this pill-box within the linked images. PHOTOGRAPHS BELOW: Dave Parkin, Heysham. Another bumper set of photographs from our man in the south, Dave Parkin. Barrow Dock was surrounded - amongst other fortifications - by pill-boxes, defence against a potential western invasion via Ireland, a likely possibility alongside the more readily considered strategy of the jack-boot marching up the Furness peninsula from a landing across country on the east coast. PLEASE NOTE: The three pill-boxes below are NOT accessible to the public! I would like to extend my gratitude to Mr Chris Clouter of A.B.P for granting David permission to photograph them. Is this innocuous-looking lump of concrete and rusty iron the remains of a light anti-aircraft gun?